Pearson, the education and publishing giant that has held a non-controlling 50% stake since 1928, is selling the holding for £469m. The deal will make Italy’s Agnelli family, founders of the Fiat car empire, the largest shareholder, with fellow owners reading like a Who’s Who of British business dynasties, including the Cadbury, Layton, Rothschild and Schroder families. They are in control of a star in the British print media firmament. While other newspapers and magazines struggle to reverse shrinking circulations and halt sliding profits, the Economist appears to be in rude health. 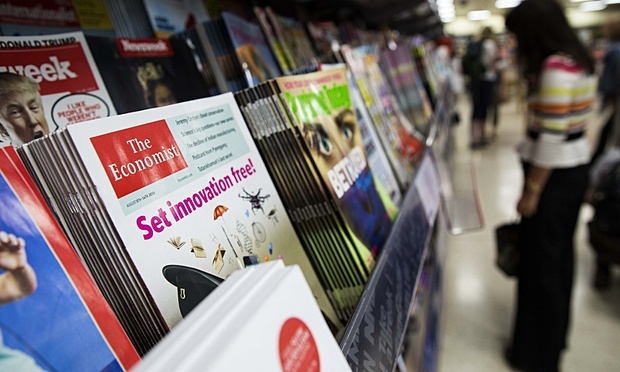 It has a weekly circulation of around 1.6m and the group, which includes research division the Economist Intelligence Unit, notched up pretax profits of £59m in 2015 on revenues of £328m.